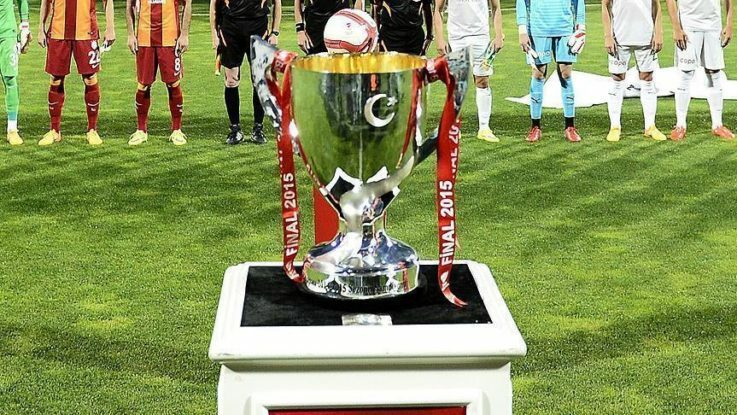 Fenerbahce and Akhisarspor will play for the Ziraat Turkish Cup title Thursday evening. The match in Turkey’s southeastern province of Diyarbakir will kick off at 8.30 p.m. local time (1730GMT). Fenerbahce had qualified for the final by forfeit after Besiktas refused to take to the field in the second leg match. The Turkish Football Federation, apart from disqualifying Besiktas from the cup, also banned the Istanbul club from participating in the tournament for a year. Akhisarspor, on the other hand, defeated Galatasaray in Istanbul 2-0 in the second leg match, securing the final ticket. Speaking Wednesday evening, Akhisarspor manager Okan Buruk said playing in the final is “extremely important”. “It will be a different kind of honor for us if we can secure the UEFA Europa League ticket, considering that we were founded only in 1970,” he said. The winner of the final will play in the elimination matches next season to participate in the UEFA Europa League group stage matches. Fenerbahce manager Aykut Kocaman, also at a press conference, said the match will be “extremely difficult” for the Istanbul club. “Two weeks to go in the league, and if we lose the league title, Akhisarspor will be one of the reasons,” Kocaman said, noting that Akhisarspor defeated Fenerbahce twice this season. “We will try our best to win the cup for our fans,” he added.